For the most part, there are two reasons people reload their own shells. The first reason is having optimal ammunition. People who want true accuracy will weigh their brass cases. For the tightest possible grouping on your shots, there’s no substitute to reloading yourself. The second reason is safety. Bullets that are manufactured by some machine are going to be prone to mistakes. Even if the rounds you get aren’t overloaded and aren’t duds, on average they’re bound to be devastatingly mediocre. Reloading ammo is the best guarantee you can get for the quality of the rounds you’re using. 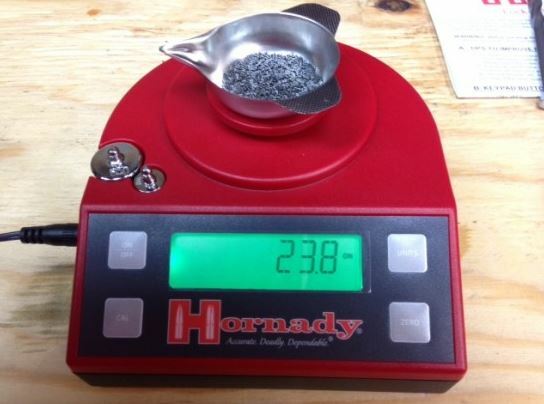 And for having accurately measured cases, bullets, and powder, a reloading scale is critical. It’s the only way you know you’re getting the perfect amount of powder into each round, without overloading or under-loading in the process. Even the best powder dispensers in the world need to be routinely checked for volume in a scale. In the not so distant past, balance beam scales were widely used for reloading. They maintain one advantage over digital reloading scales, which is they don’t require electricity to operate. But once you’ve got a few batteries, there’s every reason in the world to switch to digital measurement. Digital reloading scales are drastically less prone to human error, and they take measurements far quicker than would ever be possible with analogue alternatives. Almost every time you sit down at a bench to reload, you’ll be using your scale, so it’s worth picking the right one. Reloading scales can range anywhere from $20 to hundreds, but the type of scale you’ll need largely depends on the kinds of uses you’ll want from the device. 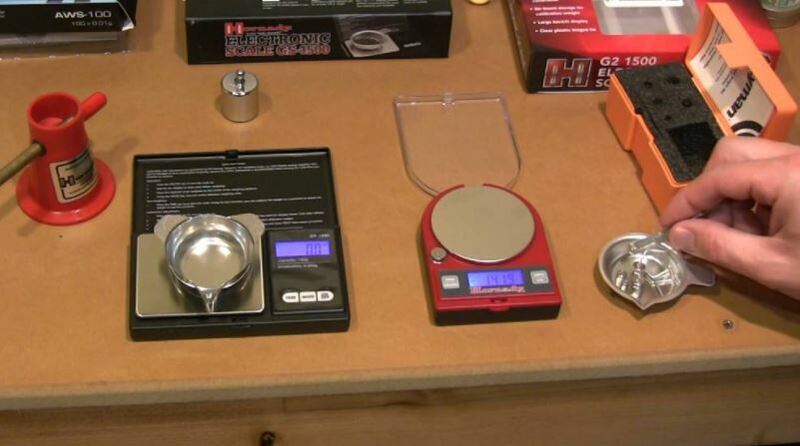 The accuracy, capacity, and ease of use of reloading scales can vary widely. It’s worth remembering the importance of ease of use increases with how often you find yourself reloading. Minor conveniences can become major time savers when you’re reloading hundreds of rounds each week. Those same conveniences can be a waste of money if you’re more of a casual shooter who doesn’t need to be reloading every other weekend. 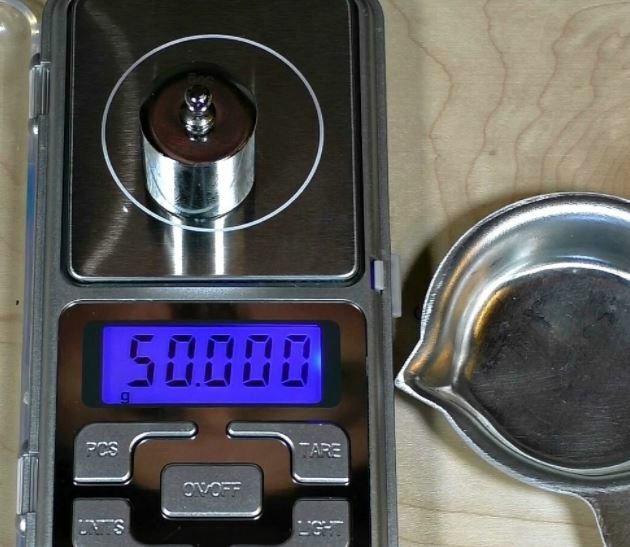 To choose the right digital reloading scale for your purposes, start by thinking about capacity. When it comes to maximum load size, all scales have a variety of capabilities. If you’re reloading numerous rounds, or heavier shells, then you’ll want to reflect on how much powder is involved in each round. Capacity can be the difference between measuring once or getting caught up in a much longer process. And time isn’t the only thing at stake, getting measurement done swiftly also leaves less room for error. Precisely how accurate do you need the scale to be? When it comes to lightweight substances being used in small quantities, like gunpowder, most shooters will be looking for a considerable degree of precision. For the purposes of reloading, accuracy to 0.1 grains is suitable for just about any type of legal ammunition. If you’re not using an accurate scale, what’s the point of reloading when you can buy inaccurate shells over the counter in any sporting goods outlet? Using that philosophy, many people may be driven to extremely expensive scales that offer accuracy well beyond 0.1 grain. But spending hundreds or thousands for industrial quality scales will provide virtually no benefit that reloading scales can’t already offer. When you’re measuring bullets, you need accuracy to the grain, not to the electron. Capacity and accuracy make up the bulk of a scales performance, but some features separate average-quality reloading scales from scales which are an invaluable addition to any workshop. For example, some scales may include removable bowls or pots for measuring, or similar features for extra protection. The speed of measurement might not seem like a concern at first, but cheaper models may leave you waiting as long as 20 seconds to settle on a weight and present accurate data. Some scales may bounce around with phantom measurements for several seconds anytime you add more weight. For taking measurement after measurement, these kind of minor details can add up into major frustration and a major waste of time. Whether or not a scale is convenient to use can help you avoid inaccuracy and avoid potential accidents. When you’re reloading shell after shell, exactly how expedient your task can be completed depends largely upon on how easy it us to use your scale. And that’s how an inconvenient scale can become a safety issue. For reasons that don’t need to be explained, caution and accuracy is critically important for the process of reloading. But reloading can be a very tedious process because of how much attention it requires. It may only become more tedious when you become plagued by small hassles and complications from your scale. 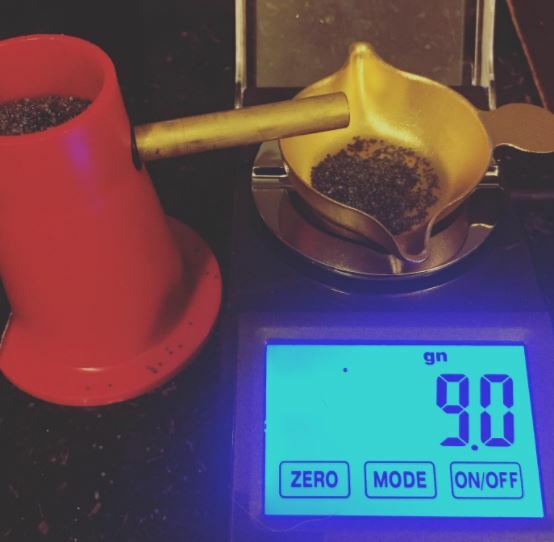 Like with any machine you end up spending time with, ease of use can matter a great deal for selecting the right digital reloading scale. Anyone who’s done much reloading in the past will be familiar with the name Frankford Arsenal. They’re specialists in machine parts for guns, and are especially well known in the industry for their specialty reloading tools. 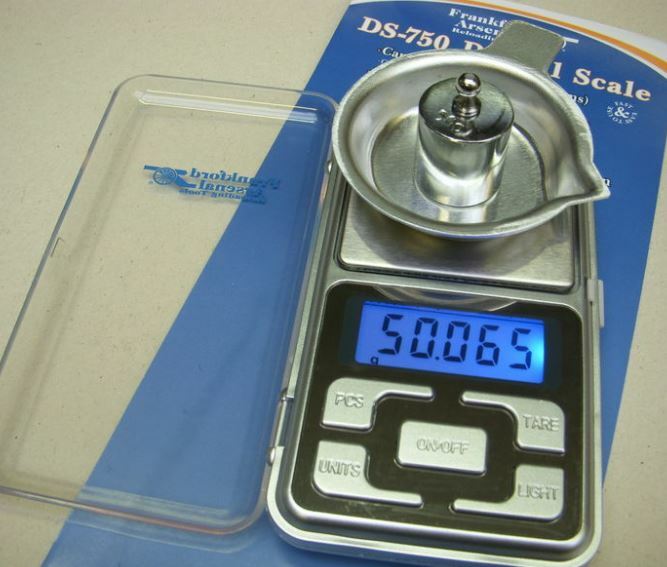 A great example is the DS-750, their mid-range reloading scale. It’s compact, efficient, and includes a cohesive shielding cover to protect the device. Like most Frankford Arsenal products, the DS-750 would be a welcome addition to almost any loading bench. The DS-750 uses a simple and straightforward design that help give you a glimpse of how hassle free reloading scales can be. The design makes use of five simple buttons to help you access the basic tare and counting functions which help define modern digital scales. There’s also a highly readable and backlit LCD that display supports results which are accurate to 0.03 grams. Because this scale is on the smaller and more portable side of things, it has a relatively small 750-grain or 50-gram maximum capacity. The extremely compact 4.6 x 9.7 x 1.9-inch design weighs just under 9 ounces, making it an ideal solution for anyone who does reloading on the go. Although the DS-750 is small it remains fairly capable. However, one minor drawback is you’ll have to wait several seconds after lowering the pan each time for a read, or you’ll get an inaccurate charge. As a result, you may find yourself waiting around more often than you’d like between measurements, which can be an issue if you’re doing more than a little reloading. This scale is powered by the included 2 AAA batteries, which save power with an automatic shut-off feature following 60 seconds of inactivity. Frankford’s scale also makes use of an automatic calibration feature that won’t leave you fumbling around with calibration weights. This kit also includes a powder pan and carrying bag to help you get started. It should be noted that the bag isn’t very protective, it’s more designed to help facilitate movement it storage. 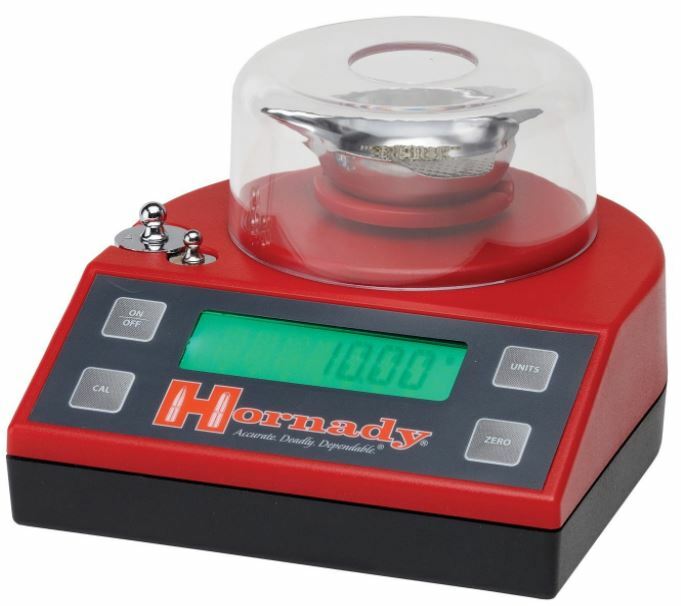 Hornady makes an array of measuring tools, micrometers, calipers, and other devices. Among that slew of tools they manufacture, you’ll find several fairly impressive digital reloading scales. One which stands out among the rest is the Hornady 50108, which uses the same precision load cell as some of their highest tier equipment but doesn’t come with the accompanying price. The 50108 has a maximum 1,500 grain capacity that’s ideal for weighing large quantities of cases, cartridges, bullets, power, and similar materials. The extra-large LCD runs alongside almost the entire front face of the device offering maximum readability, and reads to 0.1 grain accuracy. Although some people will deduct points from the Hornady 50108 for style or size, behind its form you’ll find a truly accurate and durable scale. It’s easy to use the Hornady 50108 because it’s operation is no more challenging than navigating four simple buttons. Those include on/off, calibration, zero, and a unit button. Unfortunately, scales built to this degree of accuracy sometimes have a difficult keeping an accurate zero, and the Hornady 50108 is no exception. If you find yourself working with several different metal powder pans, you may end up finding the zero function a little unwieldly. However, the bulky 4.8 x 9 x 7.10-inch design makes for a durable build that’s made to compete with other top-tier brands, and made to survive inside rough-and-tumble workshop conditions. Along with the scale you’ll get two calibration weights, an AC 220V adapter, and a metal powder pan. The 220-volt adapter reflects the power of this scale relative to smaller options. And Hornady offers a one-year warranty to help ensure the scale you get is everything you expect it to be. The 1500 is Lyman’s smallest digital scale, but inside its compact size you’ll find no shortage of real power. The Micro-Touch 1500 maintains essentially every feature of considerably larger models, including a full and accessible touch screen control. The 1500 also does things other scales won’t, especially when it comes to staying mobile or reloading on the go. As the name suggests, the Lyman Micro-Touch 1500 has a full 1,500 grain capacity for measuring larger quantities of ammunition. Provided accuracy remains within one tenth of a grain, which is ideal for reloading, and the scale can be visually toggled between grains and grams with one single button. However, the Micro-Touch 1500 is on the inexpensive side as far as scales go, which means performance is going to suffer somewhere. In the case of the 1500, what you’re losing is speed. 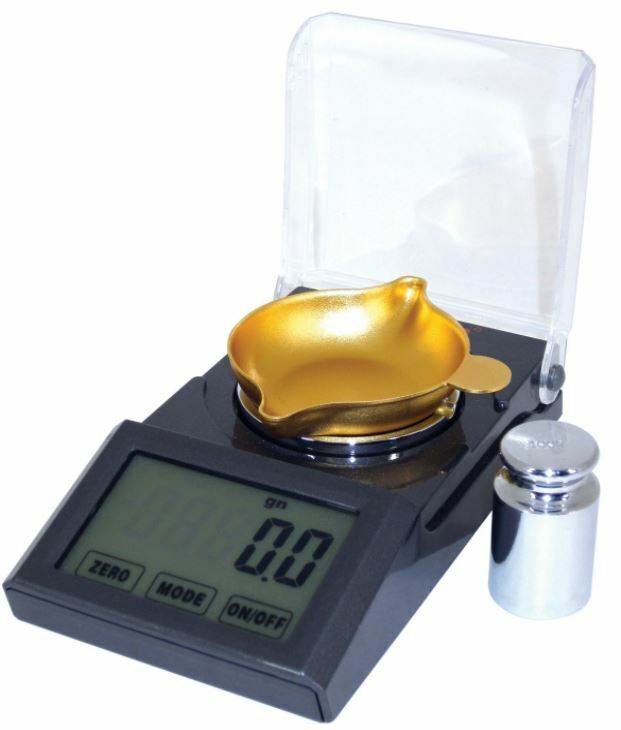 You’ll find similar accuracy to more expensive scales, but you’ll be waiting several extra seconds for each of your measurements to finish before you can remove your powder and move on. Being the smallest of their Lyman’s scales, the 1500 uses a slim 3.25 x 5.3 x 1.2-inch build. To help keep its portability maximized, the 1500 uses a hard shelled plastic casing that ensures the device only weighs about 1 pound. The 50108 includes a powder pan and calibration weight, and can be powered by the included A/C adapter, or be loaded up with batteries to take with for reloading out at the shooting range. For portability, the most obvious choice is the Lyman Micro-Touch 1500. Lyman’s scale offers enough accuracy for reloading, and enough of a maximum capacity for to get even larger jobs done efficiently. You can toss in a few batteries and you’ll be ready to take your reloading scale anywhere you go shooting and need to do reloading. In spite of being compact, it still maintains a full 1,500 grain capacity that won’t slow you down. But the Micro-Touch 1500 lacks speed. If both portability and speed are a necessity for you, then you’ll want the Frankford Arsenal DS-750. It has most of the portability of the Micro-Touch 1500, and much of the power of the Hornady 50108. The only downside is the fairly restrictive 750 grain capacity, which makes this digital reloading scale more suited for casual reloading or reloading while traveling. If you don’t particularly care about portability, the Hornady 50108 is a great workshop companion. The design is a bit bulky, but that only adds to the durability of its build. Hornady’s selling point is in its accuracy. It uses a precision loading cell that’s far better than what you typically see in equipment in this price range. 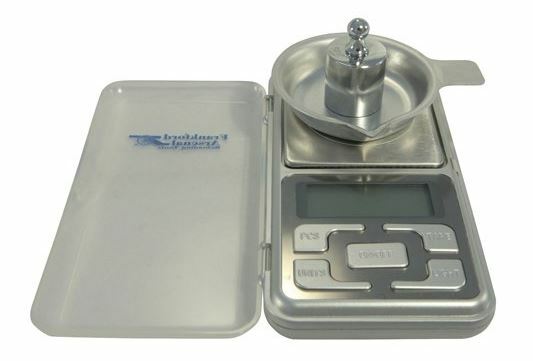 It’s convenient and easy to use, especially if you don’t see yourself moving your reloading scale very often.